Care for elderly people with dementia (including Alzheimer’s Disease and other types) can be a challenging, but it can be made easier and more effective. With our innovative DementiaWise home care service and the support of our specially trained caregivers, your loved one can function better, allowing them to have better days. Care is much easier with DementiaWise best care practices, as our innovative dementia care program prevents difficult behavior before it begins. Whether your loved has Alzheimer’s Disease, Vascular Dementia, Lewy Body Dementia, Frontotemporal Dementia, Mild Cognitive Impairment, or some other type, our specially-trained caregivers can help your loved one with dementia be as independent as possible, for as long as possible. Our home care service makes it easier for families to enjoy precious time with their loved one, despite their dementia, or how advanced it may become. DementiaWise allows for a rich and rewarding life that allows you and your loved one to live your best possible life. Family members often have work and family obligations or health care challenges, that make it difficult to care for their aging parents or other loved ones. For the main family caregiver, the job can be exhausting, isolating and overwhelming. As dementia gets worse, we can help take some responsibility off your plate. We are available for as little as a few hours a week or can provide 24 hour home care, seven days a week. 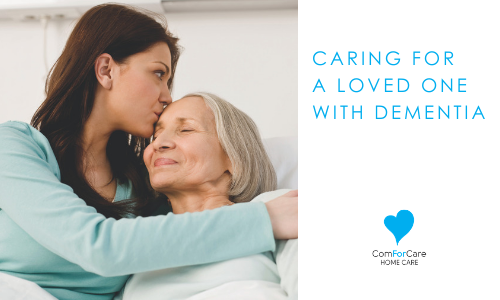 Whether we care for elderly or other loved ones, our specially-trained DementiaWise caregivers will provide the best personalized care possible. The quality of our dementia caregivers is unmatched. With our help, you can both live life on your terms and enjoy every precious moment. DementiaWise is why At Your Side is a leader in home care services for people with dementia. Whether it is Alzheimer’s Disease, Lewy Body Disease, Vascular Dementia, Frontotemporal Dementia, Alcoholic Dementia, Mild Cognitive Impairment, or a more rarely diagnosed dementia, this special program has all of the tools necessary to help keep clients calm, engaged, and functioning at their best. DementiaWise is based on Alzheimer’s Association best practices, combined with the very latest in medical research. It was created by Dr. Deborah Bier, Corporate Director of Special Populations, exclusively for At Your Side. Whether it is developing cutting-edge training, troubleshooting challenging cases, or keeping abreast of the latest dementia research, her work and the education she provides our offices nationwide ensures your loved ones receive superior care. Many of our locations have earned the right to be called a DementiaWise-Certified Office. This means they have met our corporate high standards for dementia education and caregiving excellence, and are the most qualified in our system.